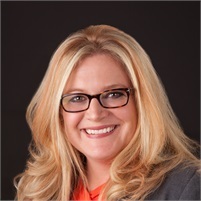 Karmen K. Gearhart, CFP® has been in the financial services industry since 1999. She is a Chartered Life Underwriter and a Certified Financial Planner™ designee. Think of her as your financial sandman. She'll help you pursue sweet dreams rather than financial nightmares. Karmen is involved with the local charitable organization No More Sidelines that supports special needs children. She is also a member of the Women's Division Chamber of Commerce and Ladies Lakeshore Lunch. She is President of the Lake Michigan Estate Planning Council and President of the Reeths-Puffer Rockets Booster Club. Karmen enjoys reading, softball, and boating. She lives in Muskegon with her husband, Gary and her son, Trip.